This project is a multi-national effort to collaborate on the adaptation and creation of pedagogical materials. The bicycle, a highly developed yet simple device, is the focus of this effort. Students and faculty are using materials developed in a variety of countries and creating new materials using contemporary multimedia. 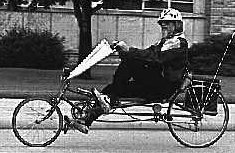 This effort began almost 15 years ago when Robert Fuller and Dean Zollman created the videodisc Energy Transformations featuring the Bicycle at about the same time that the PLON Project in The Netherlands developed the teaching module Traffic and the British Open University developed a course on Materials and Structures which featured the bicycle. These efforts were independent of each other. Since that time we have worked to combine instructional materials from these and other countries. European Community. 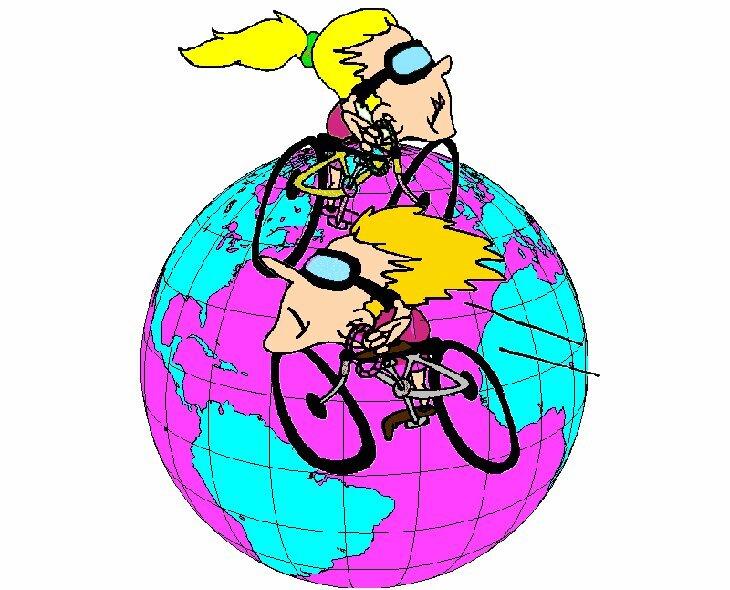 and United States students enrolled in one of the partner institutions will become part of an international team of students who will investigate various scientific and cultural aspects of the bicycle, and create multimedia instructional materials about their activities. The students will become part of a three-year effort that will link international students by computer and bring them together periodically to work face-to-face. These workshop, held in Great Britain and The Netherlands, brought together science and technology educators and multimedia experts from the U.S., Australia, and several European countries. Together they developed plans for pedagogical, multimedia materials for teaching about the bicycle. This effort led to the International Study and Exchange Program. U.S. participation in these workshops was supported by the National Science Foundation. This conference, held in Lincoln, Nebraska, was jointly hosted by the University of Nebraska - Lincoln and Kansas State University. Multimedia specialists, researchers on the science and technology of the bicycle and physics educators worked to gather to lay the basic ground work for a series of lessons on the science and technology of the bicycle and their cultural adaptations in different cultures. The conference was supported by the Association of Big 8 (now Big 12) Universities. Principal Investigator at Kansas State University is Dean Zollman email: dzollman@phys.ksu.edu. The project has received funding from the Association of Big 8 (now Big 12) Universities, the U.S. National Science Foundation, the European Commission, and the U.S. Department of Education.